so excited... just got a few more college applications sent and feel a little less weight off my shoulders. i'm feelin purty good since the SAT and ACT are over... but still plenty of craziness to keep my senior year never at a dull moment!! a couple weekends ago, i went to Herron School of Art for National Portfolio Day and it was seriously amazing and so encouraging. 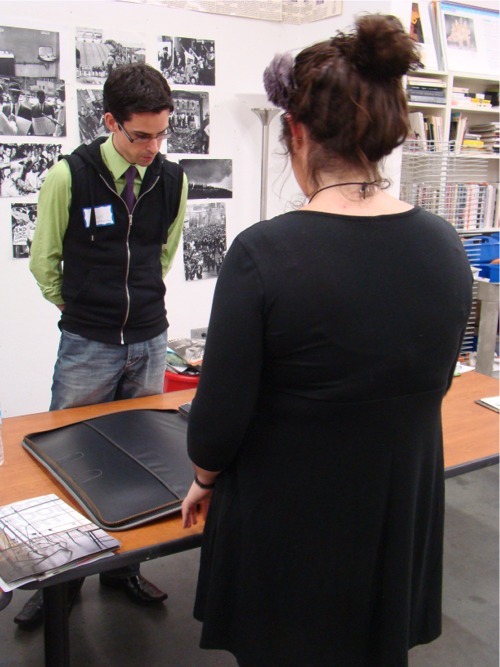 National Portfolio Day was held at Herron School of Art and Design on September 25 (open to the public) and it was a chance to meet college representatives from all over the country who gave helpful feedback to anyone's artwork. Going to the portfolio overview definitely gave me the dose of confidence i have been needing for my art lately. I had such a successful outcome... every college rep i talked to gave me encouraging things about my artwork. they loved my art! It gave me a sense of accomplishment and i felt so proud of myself. really, i was on cloud 26 or something like that. I've never actually "showed off" my art before. I mean, yeah, I show it to my family and close friends and stuff but never to strangers. It was weird just standing with my portfolio in front of a stranger who probably knows alot more about art than i do. i will admit i was shy at first, but it was so easy to overcome because my art is who i am and once they got a feel for my art, they knew who i was. it was seriously as easy as that. I did get some comments of how i could improve my art and i am so grateful because i want to work on my weaknesses. I want to strive to become a better artist everyday. Overall, national portfolio day was a freaking awesome day. I am so so so so so happy i took the time to go. Before i went to national portfolio day, i was deadset on going to a university for college. haha now i already have two art schools i am going to apply to. Who knows where i will end up.... God knows where i'm going and i'm just gonna follow his lead ♥ But for now............. i'm just going to be working on my portfolio and living up my teenage years. i don't know about you, but that sounds fun to me! i am fo-sho loving my artsy, funny, studious, adventuring, happy, joyful, carefree, high-school, friendly teenage life. also, this is very random but i desperately need to make some pink hello kitty pumpkins for my frontporch. i'm sure my brothers wouldn't mind... hehe. she's just so cute.